This paper attempts to situate Mark E. Smith – and The Fall – not in a history of music or of sound (or in a history of the visual arts and / or painting) but rather in terms of a broad coalition of visual communicators and of typographers: those whose creative and critical focus is upon an expressive visualisation and articulation of writing and the written word. I aim to attempt to define and locate a Fall aesthetic or identity within this grouping; tracing direct and indirect links between certain practitioners and particular examples of Fall cover art. 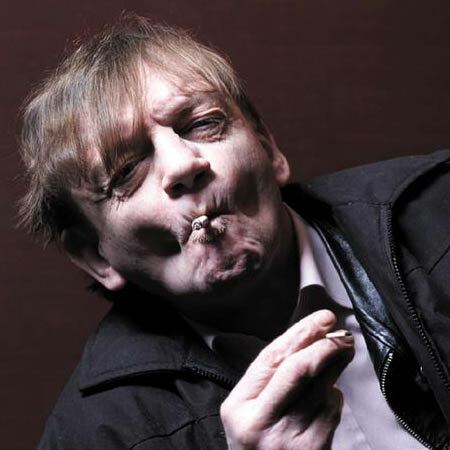 The typography of The Fall is a term which can be used to denote Mark E. Smith’s handwriting (as featured on numerous covers) and is useful when attempting to rationalise and discuss particular visual and conceptual qualities which appear to have become synonymous with The Fall’s public image: authenticity; the wilfully crude; chaos and abstraction, for instance. The essay defines a ‘Fall aesthetic’ by noting two key conceptual techniques: non-linearity and juxtaposition or collage. These are initially contextualised through a discussion of John Cage’s use of the I Ching, the montage techniques of Kurt Schwitters, Paul Elliman’s typographic design and through an analysis of Smith’s own use of studio techniques to embrace the uncontrived collision of seemingly arbitrary elements within the sound. 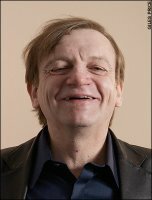 Mark E. Smith’s handwriting has become a typographic signifier of and for the Fall, communicating qualities of ‘Fallness’; carrying an authoritive voice, and rejecting the standardisation implicit in much handwriting education. It can be regarded as an attempt to visualise the sound of his spoken / sung voice. Reprocessing sound into words, Smith relies upon a series of graphic conventions and makes use of a number of effects and techniques to attempt to examine the gap between the two. His use of language tools such as the ballpoint pen and the typewriter investigate typography’s potential for imbuing text with authority and formality and establishes a visual brand for himself and the group. He also seems to be exploring the relationship between hand skills and the physical, material qualities of visible language. 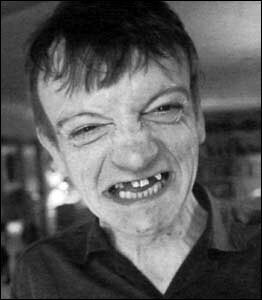 Mark E. Smith’s antipathy towards the formalities, technologies and professional status of graphic design and designers is apparent within The Fall’s visible language, as is a fondness for the mundane and everyday: expressed through subjects such as parking tickets, housing rates and British tourists abroad. Smith’s transformation and articulation of the urban and the ‘found’ has parallels with Paul Auster’s doomed author-as-walker in ‘City of Glass’ and in the painstakingly constructed collages of Czech artist Jiri Kolar. Paul Elliman’s ‘Bits’ typeface collects shards broken away from the city’s surface and reconstitutes them as alphabetic elements in a process similar to Smith’s channelling of his city’s streets and character. Smith’s deliberate strategies for confusing and twisting the materiality of language – whether as lyric or inscribed – illustrates a tendency towards abstraction, a notional ‘primitive’ and a rejection of notions of formality-for-its-own-sake. Smith’s handwriting is a visual touchstone within the Fall’s recorded history, seemingly called into use at points of change or transition, reintroducing an authentic Fall sensibility when needed. Outside of this environment it, interestingly, seems to continually re-appear in a variety of contexts and for a variety of reasons: upon items other than Fall covers and for perhaps the same reasons. Like a form of self-referential shorthand, it appears to bestow authority via association all the while unhooked from its maker and adrift in the wider cultural landscape. Presented at 'Messing Up The Paintwork' conference. University of Salford. May 9th 2008.